Press comments about how illustrators are undervalued, made earlier this year, caused Floris Books’ Design & Production Manager Leah McDowell to sit up and take notice. In this article she investigates Floris’s approach to working on children’s picture books, and balancing the needs of both kinds of author. This comment from illustrator Sarah McIntyre, published in The Bookseller in January, initially made me wonder whether she wasn’t blowing things out of proportion. As the main point of contact for illustrators at Floris Books, I’m usually aware of their particular sensitivities, and this felt like a hang-up too far. But then, a couple of weeks later, The Bookseller published a separate article congratulating Michael Rosen on his one-thousandth week in Nielsen’s ranking of top-selling books with his book We’re Going on a Bear Hunt. It’s a brilliant book, a deserved classic. There was just one problem: the Bookseller completely failed to mention the book’s illustrator, Helen Oxenbury. 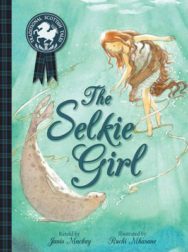 As the largest publisher of children’s books in Scotland, our writers and illustrators are unquestionably important to us, especially in our thriving range of Scottish picture books, the Picture Kelpies. Instinct told me that we consider them as equals, but I wanted stronger proof than that, so I went looking. 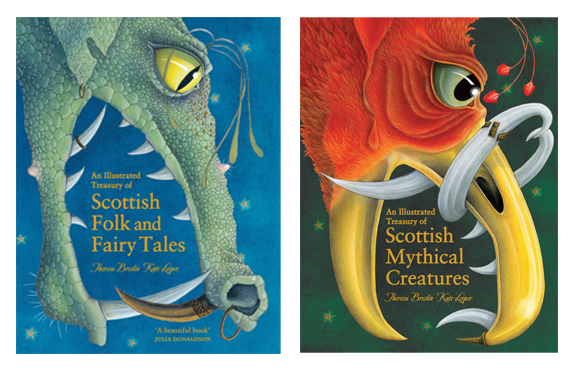 In autumn 2014 we published the first three books in our Traditional Scottish Tales range of picture books. 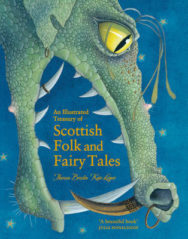 All three involved a collaboration between a writer and an illustrator: Lari Don and Philip Longson (The Tale of Tam Linn); Theresa Breslin and Matthew Land (The Dragon Stoorworm); and Janis Mackay and Ruchi Mhasane (The Selkie Girl). 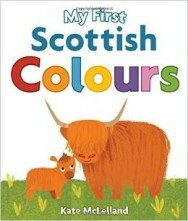 In all three cases, the writers wrote the words first, and the illustrators were briefed once the story had been finalised. 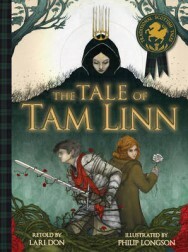 But in at least one case – The Tale of Tam Linn – the illustrator asked for a change to the text so it would work better with the illustration – and the writer agreed. Equally, the writer saw the rough illustrations and asked for some details to be changed – and the illustrator agreed. I was feeling better: this was definitely a collaborative process. 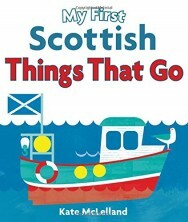 Furthermore, to launch the books, we organised an exhibition of the artwork at the Scottish Storytelling Centre, thereby putting the illustrators centre stage alongside the writers. More good evidence. 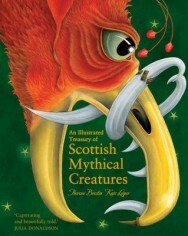 Finally, I thought about another writer-illustrator project we’ve been working on for the last year: An Illustrated Treasury of Scottish Mythical Creatures, the sequel to our bestselling An Illustrated Treasury of Scottish Folk and Fairy Tales. 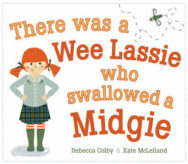 Both books are a collaboration between award-winning writer Theresa Breslin and hugely talented illustrator Kate Leiper. It takes Theresa about six months to write the stories, and it takes Kate about twelve months to do the illustrations. And while most of our communication with Theresa was by phone or email, every fortnight of those twelve months saw Kate in the Floris Books’ office, working with me on ideas, roughs and final colour work. There’s no question we give our illustrators as much nurture, support and encouragement as we can. Now, though, we give our writers and illustrators equal billing on book covers, we regularly organise launches, school and festival events where writers and illustrators appear together (which works brilliantly for the audience, by the way), and all our marketing information for bookshops focuses on the illustrator as well as the writer, with a biography and photo for both, for example. Although the examples I’ve given here are all a fairly traditional style of illustration (and by the way, we noticed that a quarter of books on the Greenaway longlist this year are traditional in style), of course we also love other styles too, especially the very modern and design-led work of Kate McLelland, illustrator of our most-loved picture book last year, There Was a Wee Lassie Who Swallowed a Midgie, and two new board books for wee hands, My First Scottish Colours, and My First Scottish Things That Go. Finally, and to put my mind firmly at ease as to whether Floris values illustrators, we’ve just enjoyed the second year of our annual Kelpies Design & Illustration Prize, a prize that uncovers and showcases new Scottish illustrators and designers. Since the gaffe was made by The Bookseller, Sarah McIntyre’s #PicturesMeanBusiness campaign has grown in strength, gaining high-profile supporters such as the 2015-17 UK Children’s Laureate Chris Riddell. The blunder highlighted starkly that all authors are not created equal – especially if they’re an illustrator. But I’m reassured that at Floris, we try our best to give our illustrators the credit and recognition they richly deserve. 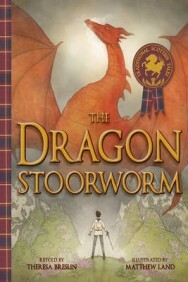 Leah McDowell is the Design and Production Manager at Floris Books. 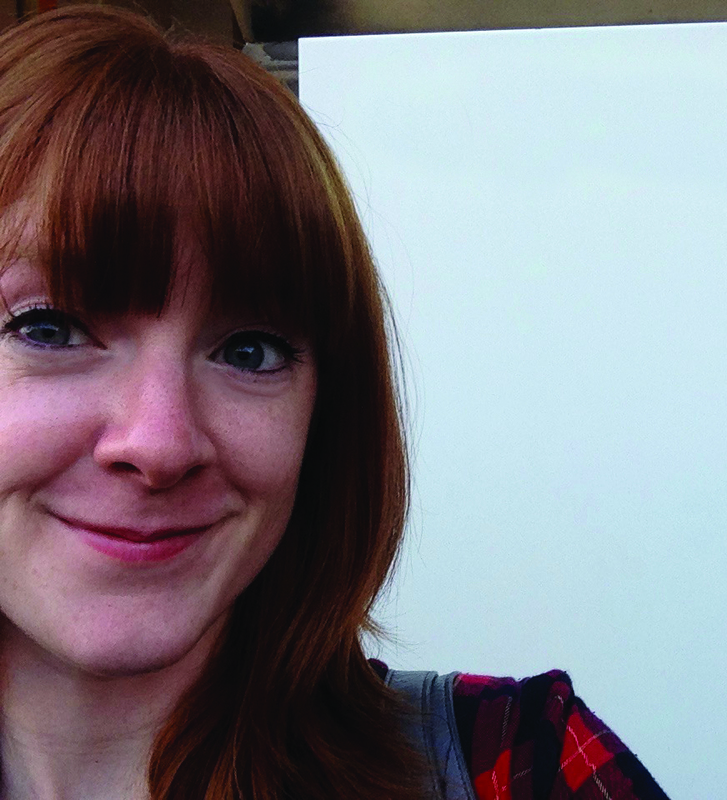 After studying for a degree in illustration, Leah studied MSc Publishing at Edinburgh Napier. She has worked at Floris Books ever since in Design & Production where she manages everything from illustrators to Excel spreadsheets. Designing covers for children’s fiction and working with illustrators on children’s picture books are her favourite aspects of her job.